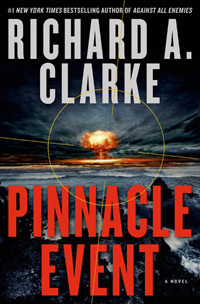 Drawing on his decades of experience at the highest levels of national security, Richard A. Clarke's Pinnacle Event--the Pentagon code for a nuclear threat--is a gripping international thriller told from the rare vantage point of a true Washington insider. In Washington, the Kill Committee gathers in the White House's Situation Room to pick the next targets for the United States drone program. At an airbase just outside Las Vegas, a team of pilots, military personnel and intelligence officers follow through on the committee's orders, finding the men who have been deemed a threat to national security and sentenced to death. Clarke not only remains an active and respected presence within the national security community but also appears regularly as an expert commentator for ABC and other media. 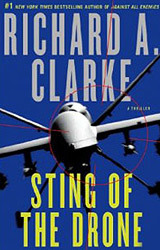 His insider's expertise is on full display in Sting of the Drone, a breathtakingly realistic novel set within America's contentious drone program. Politics mixes with cutting edge technology in this thriller set in the relatively near future. Can Susan Connor stop the attacks coming through cyberspace and in 18-wheelers before America's technological infrastructure is destroyed by the unidentified enemy? Nanotechnology, robotics, genetics, and computer science will all make great advances in the next decade. How will they change the nature of our society, our politics, our government? Breakpoint explains the new technologies that are about to burst forth on society, but it does it in the form of an exciting chase with a surprise climax. Sometimes you can tell more truth through fiction. In the near future America is on the brink of war with Iran and the Secretary of Defense is scheming to make sure the conflict starts. The U.S. does not understand what is going on in Saudi Arabia, where a revolution has replaced the Saud family government. But is the new regime one we can work with, or is it another hostile power? A British spy, an American intelligence officer, a reporter, and a doubting Marine all have pieces of the puzzle. If they can get together and understand the total picture of what is about to happen, they might be able to prevent a disaster bigger than the U.S. invasion of Iraq. 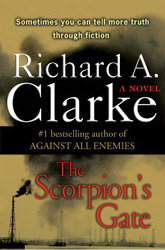 This thriller provides a look behind the curtain at what motivates some who want change in the rapidly evolving Arabian Gulf region and how America interacts so poorly with this key part of the world. 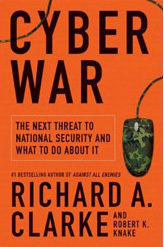 Cyber War is a powerful book about technology, government, and military strategy; about criminals, spies, soldiers, and hackers. This is the first book about the war of the future -- cyber war -- and a convincing argument that we may already be in peril of losing it. Cyber War goes behind the "geek talk" of hackers and computer scientists to explain clearly and convincingly what cyber war is, how cyber weapons work, and how vulnerable we are as a nation and as individuals to the vast and looming web of cyber criminals. 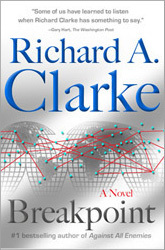 From the first cyber crisis meeting in the White House a decade ago to the boardrooms of Silicon Valley and the electrical tunnels under Manhattan, Clarke and coauthor Robert K. Knake trace the rise of the cyber age and profile the unlikely characters and places at the epicenter of the battlefield. They recount the foreign cyber spies who hacked into the office of the Secretary of Defense, the control systems for U.S. electric power grids, and the plans to protect America's latest fighter aircraft. Its not just Bush and Cheney that are to blame. The system is broken. That's the message in this provocative sequel to Against All Enemies. When Richard Clarke apologized for 9-11, he never thought that there would be so many more government failures in so short a time, but climate change, Katrina, the struggle with al Qaeda, the insecurity in cyberspace, and the failure of homeland security all bespeak a larger problem, a systemic failure. 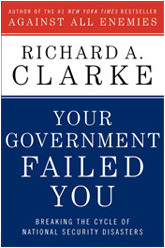 Clarke documents the failures and suggests solutions for making government work better in its most important job, protecting us. 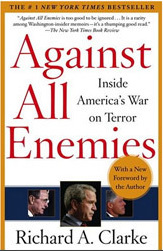 The #1 New York Times best seller, this book revealed for the first time the failures of the Bush Administration to do anything about terrorism before 9-11 and how the Administration intentionally and erroneously used the attacks as a justification to go to war with Iraq. Speaking out publicly against that war long before most Washington insiders, attacking Bush's folly when doing so was not popular, Clarke took risks others were unwilling to run, but his analysis was eventually vindicated. 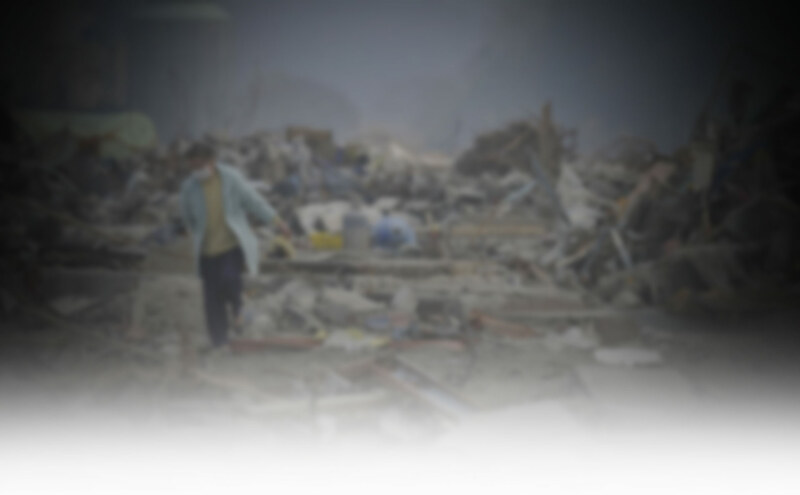 He also tells a riveting account of the day of 9-11 as only the national crisis manager could tell it. The book also goes back twenty years to tell us how we got into this situation, but it does so in a fast paced, engaging, and accessible style. This is how the government works behind the doors in national security as told by the longest serving White House national security council staff policy official, appointed to key positions in the Reagan, Bush(41), Clinton, and Bush (43) administrations.